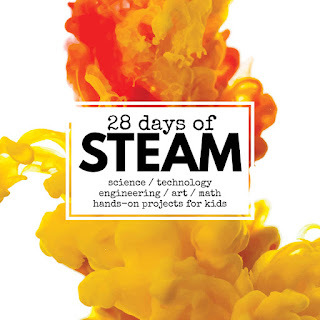 Free and ready to print, just add some wooden patterns blocks to begin using these Valentines Day STEAM challenge cards which combine maths and art in one kid friendly project. A few years ago I created our pattern block challenge cards for class and my students loved them! Block play is a favourite activity in class but I wanted to extend the type of play I was seeing while creating an opportunity for children to read independently and problem solve too. With that in mind, I created some different sets of printable challenge cards to go with our pattern blocks. 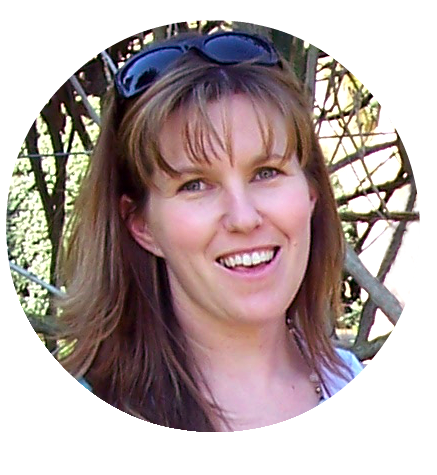 And many of you love them for the higher thinking they bring to your maths centers while also making differentiation easier across busy classrooms. Two things definitely on the wish list of any teacher. 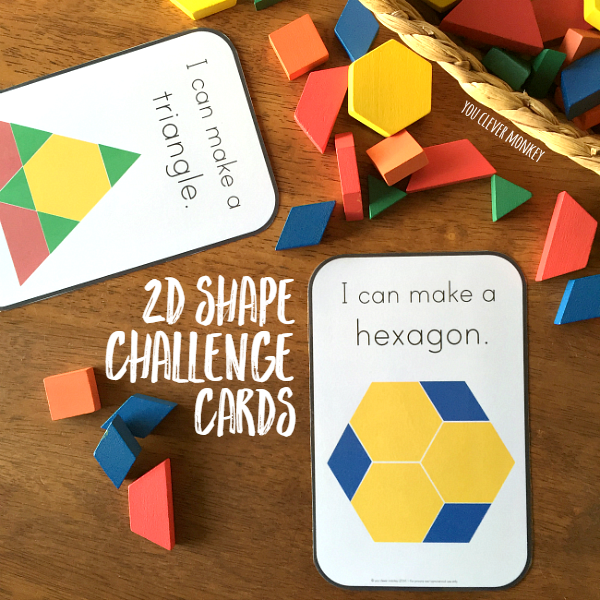 Our challenge cards are the perfect addition to pattern blocks which are irresistible to young children and adults alike. 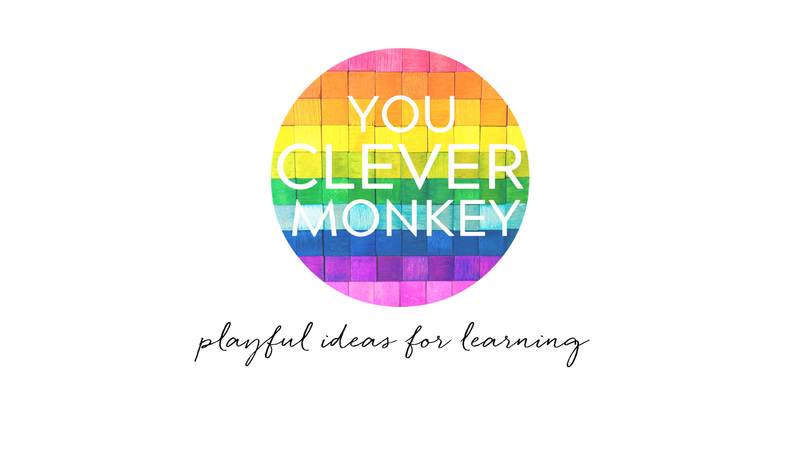 Just add them to your maths centres or small group work to help engage. To be honest, Australians do not typically make a big deal over Valentines Day. Sure we might still mark the occasion with a small gift and a nice meal but in the lead up to this holiday, several of you have contacted me to ask if I had any other pattern block challenge cards. 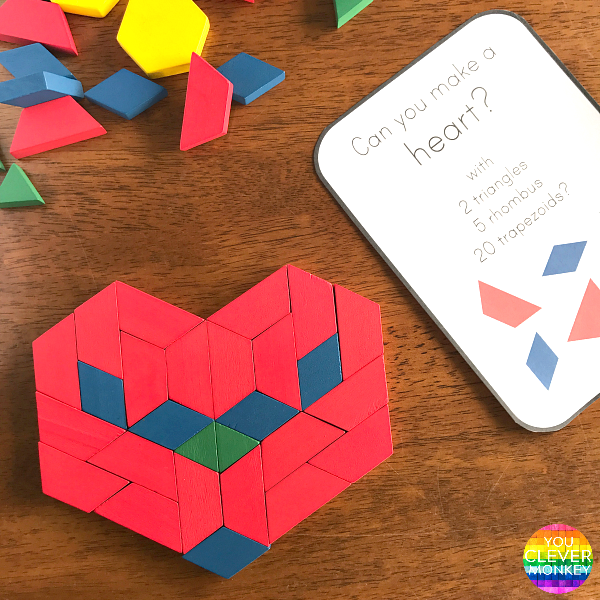 Last Christmas I created some Christmas themed challenge cards for our pattern block collection and now I've create a small set of heart focused challenge cards which you can download for FREE to use in your classroom or home. 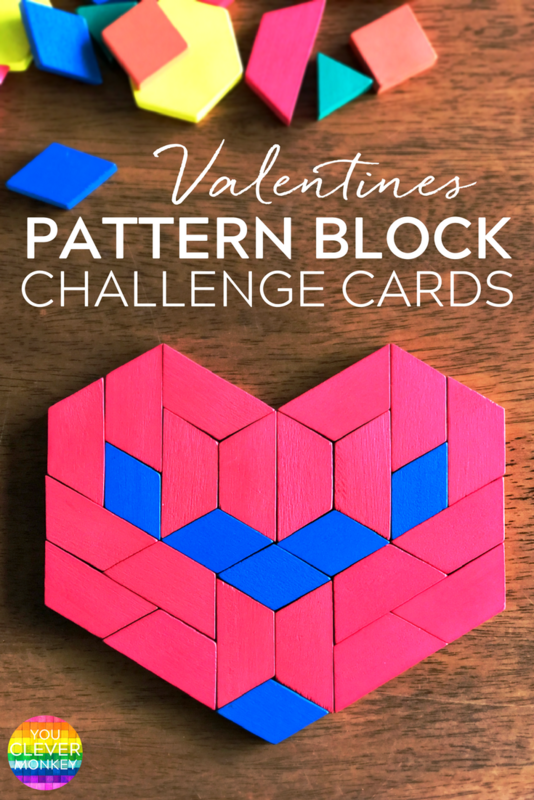 Like all of our Pattern Block Challenge Cards, our Valentines ones are a perfect STEAM project - combining early maths concepts of shape and spatial skills together with art and providing useful fine motor practice for my Early Years classroom. From a simple 1:1 matching template for children to overlay shapes to while helping develop visual discrimination and spatial awareness as they learn to flip, slide and rotate the shapes into the right spot. 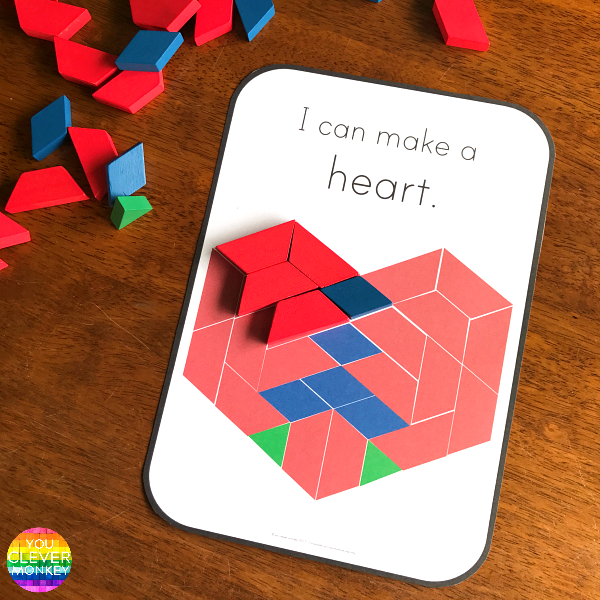 To the more challenging cards which just provide students with a checklist of the blocks they will need to create the shape. 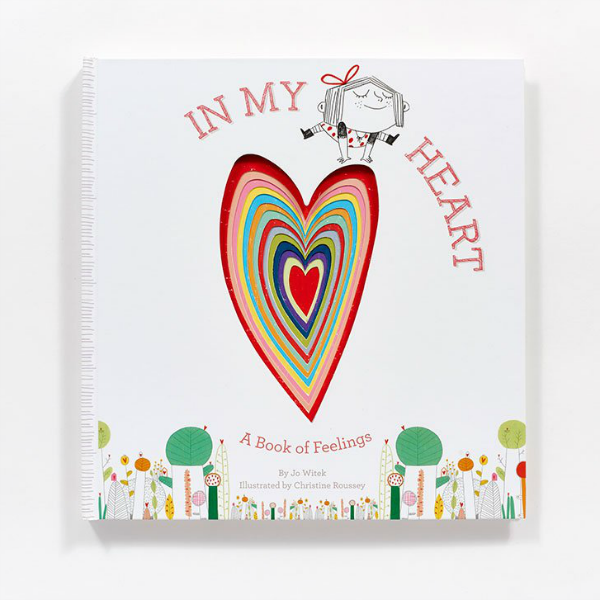 We've been trying to make our hearts in class after reading the book 'In My Heart' - a great read in Early Childhood. Our Valentines Day challenge cards have been a perfect follow-on activity. 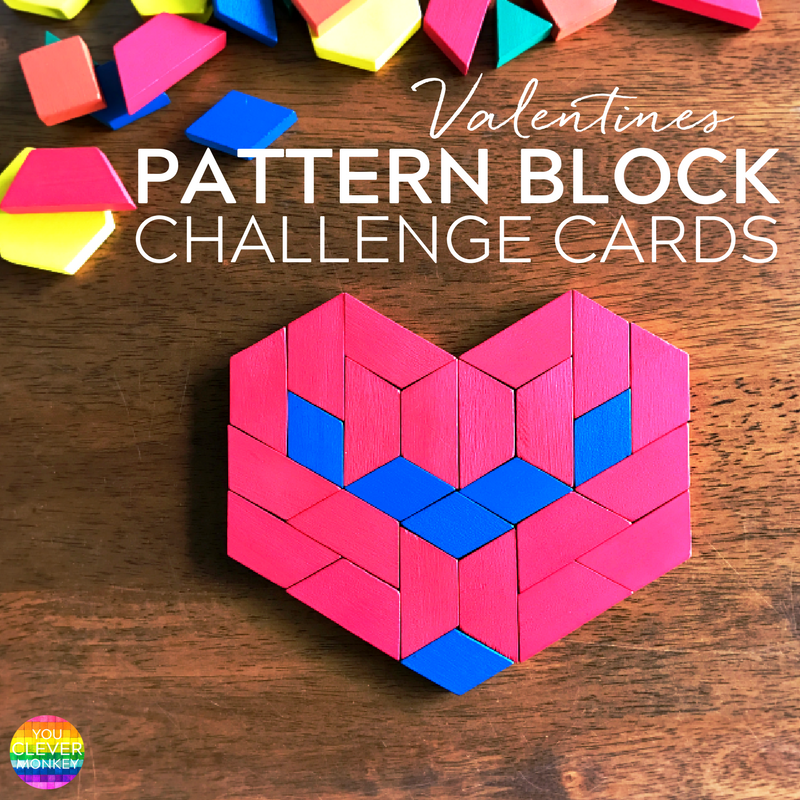 Grab your FREE copy of our Valentine Pattern Block Challenge cards now! over at Left Brain, Craft Brain.